People with anaemia don’t have the usual number of red blood cells carrying oxygen to the vital organs. Although there are many forms of anaemia, the most common results from iron deficiency. When you’re not getting enough iron in your diet or you are losing blood, as a result of menstruation for example, the oxygen carrying capacity of your blood can drop significantly. If you are deprived of oxygen, then you feel tired, weak and sluggish. Although anaemia is not uncommon amongst men and women, it is generally an easy condition to correct. The cure is the right sort of food containing sufficient iron. The recommended daily intake of iron for men is 8mg and women 18mg. A pregnant women will require higher amounts, up to 30mg per day. So how do you ensure that you can get sufficient iron in your daily diet? It’s actually not that hard if you eat chicken, fish and meat. These foods contain substantial amounts of iron. If you eat little or no meat, you’ll need to pay more attention to your diet. It’s not that vegetables don’t have iron, but our body’s ability to absorb iron from vegetables is not as great as from meat, chicken and fish. Bioavailability refers to how well our bodies absorb the nutrients we eat. There are two forms of iron with vastly different levels of bioavailability. The iron found in meat, fish and shellfish, call heme iron, is readily absorbable. The iron in plant foods, called nonheme iron, is less absorbable. Here’s an example. Of the 6mg of iron in 85g of mussels, roughly 15% will be absorbed by your body. Only 3% of the 3mg of iron in a half-cup of lentils, however, will be absorbed. It is possible to boost the bioavailability of iron with savvy eating. For example, pairing a food that contains vitamin C with a food that contains iron guarantees that you’ll get substantially more of the iron into your bloodstream. Similarly, combining meats and vegetables in the same meal makes it easier to get more iron. 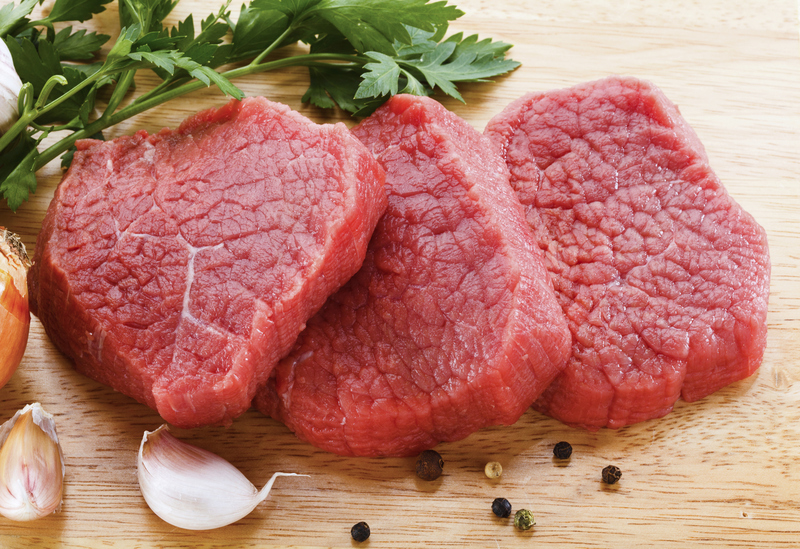 The heme iron in meats “potentiates” the iron in vegetables, making it easier to absorb. Mixing heme iron from meats with a nonheme iron from beans and vegetables will increase absorption of the noneheme iron 10 to 15%. If you suspect that you have anaemia, your doctor will probably want to do a complete check-up to make sure that nothing serious is wrong. When the problem is not getting enough iron in the diet, however, it’s almost always easy to correct. If you like clams, you’re in business. A bowl of 10 small steamed clams contains an astonishing 26mg of iron. There are also many ways to include vitamin C with your meals to boost your absorption of iron. For example, a large tomato has 23 mg of vitamin C or you could drink a glass of fresh orange, or other citrus, juice. Anaemia is much more common in vegetarians than meat eaters. In this case, the problem is due not only to a lack of iron but also to a lack of vitamin B12. This nutrient, which is needed for cells to divide and mature properly, comes mostly from animal foods. Consequently, strict vegetarians may get little or no B12 in their diets. The resulting condition, called pernicious anaemia, isn’t an immediate problem, if only because the body uses vitamin B12 sparingly. Most of us have enough B12 storage to last 6 years or so. Because of this, strict vegetarians may not notice symptoms of vitamin B12 deficiency, which include fatigue and tingling in the hands and feet, for a very long time. Once again, this condition is easily overcome by taking a vitamin B12 supplement.